The Tavistock and District Local Economic Blueprint was launched at the Tavistock Chamber Business Show on Friday November 6th 2015. A summary report can be downloaded here (Executive Summary and Recommendations). The Energy Report is available here. Cheers! 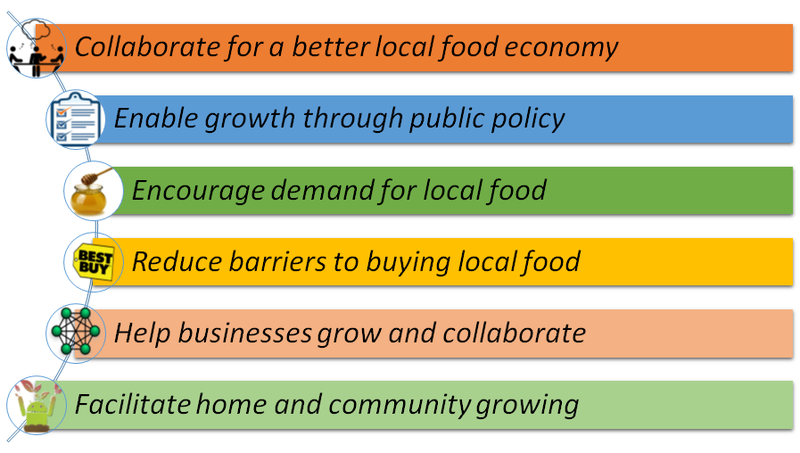 Here’s the first part of our Local Economic Blueprint report, which focuses on food and drink. Thanks to all who have shared ideas and information about how we can meet more of our needs through local supply chains. The report focuses on the Southern Link parishes around, and including, Tavistock, but our conclusions and recommendations may have wider relevance. You can download the report here, and please use the report to share these findings. if you’d like to look at the calculations behind the report please let us know. We hope you will find inspiration to action and would be interested to hear your plans. We may be able to assist with ideas (but not funds), if you get in touch. The full Blueprint, which will also cover how we produce and use energy, will be available at the beginning of November. We’ll be publically launching the Blueprint on Friday 6th November at 12:30, during the Tavistock Chamber Business Show in Tavistock Town Hall. Please come along and celebrate the publication with us. You can find out more about our Local Economic Blueprint here.